When it comes to air freight services in Washington DC, not all 3PL companies are created equal. You need to work with an experienced logistics provider who has the skills, resources, and experience needed to ensure that your shipping services are seamless and streamlined. To choose a logistics company that can truly meet all of your needs, it’s important to consider a variety of factors. 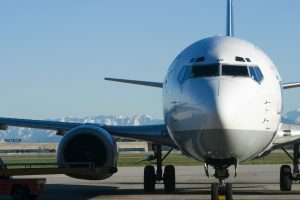 In today’s blog, learn more about the features you should look for before deciding on a company to provide your air freight services in DC. If you’re looking for reliable air freight services in Washington DC, follow these tips. Air freight logistics are complicated, which is why you need to work with a provider who understands the ins and the outs of the industry. From international customs law to industry contacts that will ensure a smooth journey, it’s important that the company you are considering has significant experience with providing effective and efficient air freight services. At AFP Global Logistics, we have been one of the leading providers of air freight services in Washington DC, Baltimore, Maryland, Northern Virginia, and the greater DC metro area for over 25 years and we know how to make your logistics as stress-free as possible. Your air freight provider needs to be able to handle the requirements of your shipment, no matter how large or complex it may be. At AFP Global, our end-to-end services will be customized to meet the unique needs of your freight and our experienced team members will help you choose the right services for your shipment. If you are looking for a trustworthy and experienced logistics company that understands the ins and outs of end-to-end air freight logistics solutions, look no further than AFP Global Logistics. We provide a full range of shipping and logistics services, and our 25 years in the business have given us the tools we need to create customized logistics solutions that are tailored to the needs of each client we serve. We have what it takes to provide the kind of air freight services in Washington DC that your business needs to thrive. For more information or to start designing your own logistic solutions today, get in touch with AFP at 410.590.1234 (toll-free 800.274.1237), email us at info@afplus.com, or fill out our quick and easy contact form here! This entry was posted on Thursday, September 8th, 2016	at 1:20 pm	and is filed under Business Basics	. You can follow any responses to this entry through the RSS 2.0	feed. Both comments and pings are currently closed.